Sam Vogel, a 22-year-old native of California who goes by the stage name of ‘Jauz’, is an EDM artist who refuses to stay inside the box when producing music. He lives by the motto “music has no boundaries” and proves it with his remixes of popular hits by Ed Sheeran, Asap Mob, and Childish Gambino, to name a few. 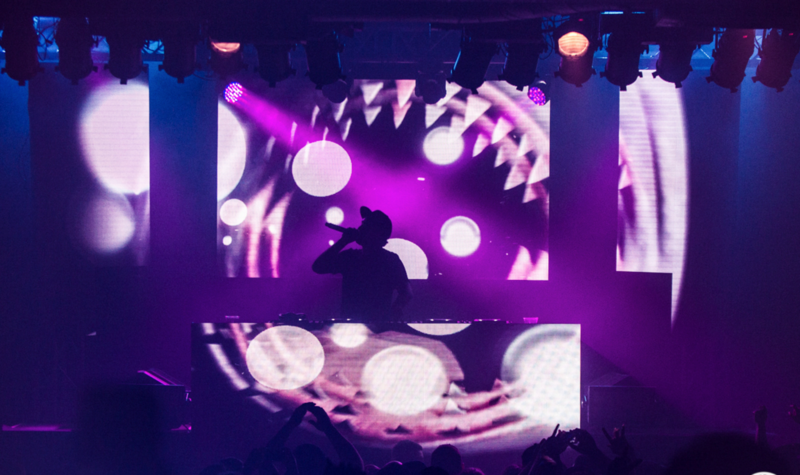 Accompanied by DJ SMIIRK and Aryay, Jauz returned to the Concord Music Hall in Chicago on April 8th for his much anticipated Friendzy Tour. Paving the way and opening the night was Chicago-based DJ and producer, SMIIRK, plus tour companion, Aryay. It was evident that concert-goers in the Chicago area were hyped for the great white shark of DJs to return to the venue since tickets for his show sold out within just a couple of weeks. DJ SMIIRK was the first performer of the night, his set was chill and put together well, but many of his songs sounded very similar throughout his mix. Aryay switched up the feel of the music by throwing in some heavier bass hits and hip-hop beats, making it very apparent through his hard-hitting set that he was trying to get the crowd pumped before the main performance. Jauz, as usual, had an incredible performance. He gave the audience a spectacular display of jaw-dropping bass-drops and gnarly transitions throughout the night. Additionally, he incorporated many of his newer songs while also bringing in some of his older hits. He constantly switched up his set by playing dubstep, deep house, hip-hop, and even mixed in some classic oldies that the crowd could sing along to. At the end of his mix, Jauz announced that The Concord is one of his absolute favorite places to play! He explained that the Chicago crowd is always pleasant and remarkably lively. Looks like we impress Jauz as much as he impresses us.